Besides the beach near the ferry terminal there is a beach just to the north known locally as the Blue Lagoon and the especially nice Secret Beach just to the south of town. Blue Lagoon has two family owned warungs that will be glad to prepare a meal and serve beer. 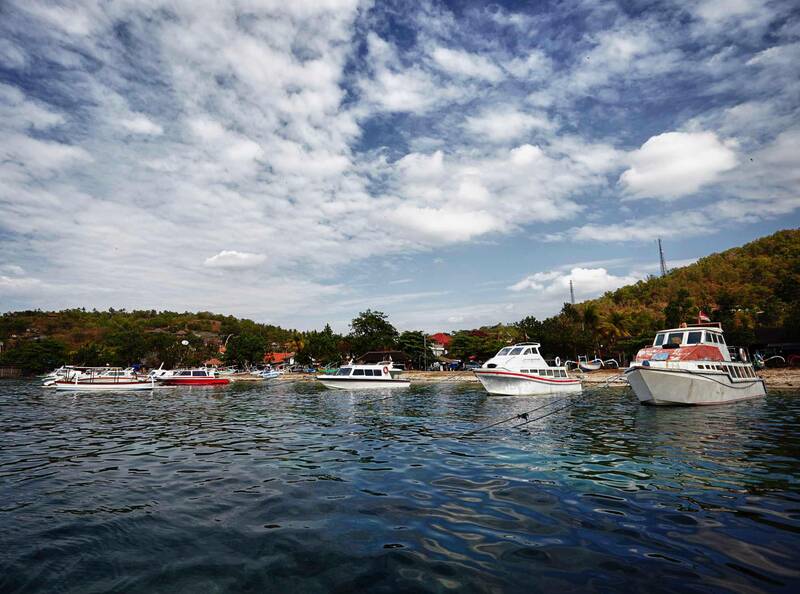 Many people go to Padangbai to Scuba Dive. Padangbai has 4 beaches. There is good diving and snorkeling in the immediate area, and a number of operators are present to cater for those activities. This is also a fairly convenient base from which to explore some of the wider attractions of East Bali. Accommodation tends to be quite basic and aimed at the backpacker market, but there are more upmarket options in town. Main Beach The main beach is generally awash with colorful double outrigger fishing boats in the shape of a marlin. The front of the boat is shaped with the point of its mouth open wide and large eyes looking to the heavens. Either side of the main beach are two other hidden coves with nice, quiet white sand beaches. Blue Lagoon Beach The Blue Lagoon Beach also known as Padang Kurungan is on the East side of Bali and it took us about 1.5 hours from Kuta just to drive there. But the beach was worth it – it was like a hidden paradise. The beach is clean and water is quite sheer so it’s easy to see what’s underneath. Another good thing, there are not many people there. Blue Lagoon Beach is a great beach for snorkeling. The coral reef is right up to the shore and is very pretty. 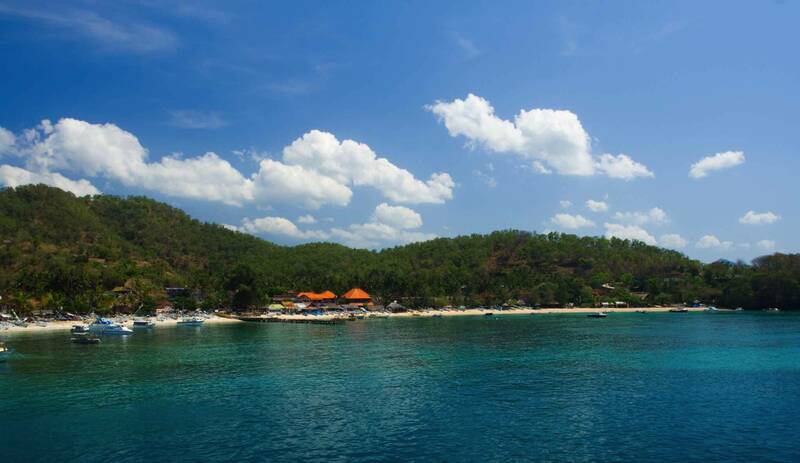 Best way is to enter on the far left side, where there is a coral-less canal that leads to the snorkeling site. Bias Tugal Beach Bias Tuge is also called Pantai Kecil or Little Beach or White Sand Beach. Usually, this beach is close to deserted although there could be a couple of adventurous travelers seeking sanctuary from the crowd. Prepare for one or two warung vendors as well. The reason why it’s still “undiscovered” is because it’s tucked away close to the secluded spot of Padang Bai, and one would have to do a bit of hiking to get here. The effort is worth it, though, as turquoise and pristine blue waters greet you. Mimba Beach or Black Pearl Sand Beach. If you need a break from the beaches, there are some temples to discover. These are not especially notable temples, but still worth a visit. Padang Bai has five major temples: Pura Dalem, located downtown, Pura Segara, located next to the beach in between town and the main beach, Pura Telagamas, Pura Silayukti and Pura Tanjungsari in the eastern end of Padang Bai. Of the five Pura Silayukti is the most notable, having been the home of the great Hindu sage Empu Kuturan and dating back to the 11th century, making it one of the oldest extant temples on the island. Just walk along the beach road to the end and up around the headland. Don't forget to bring a sarong and a sash. Pura Silayukti Pura Khayangan Jagat Pura Luhur Silayukti, located in the village Padangbay, Manggis Karangasem district, at an altitude of 25 m from the sea surface. This temple can be reached by motorcycle or car. 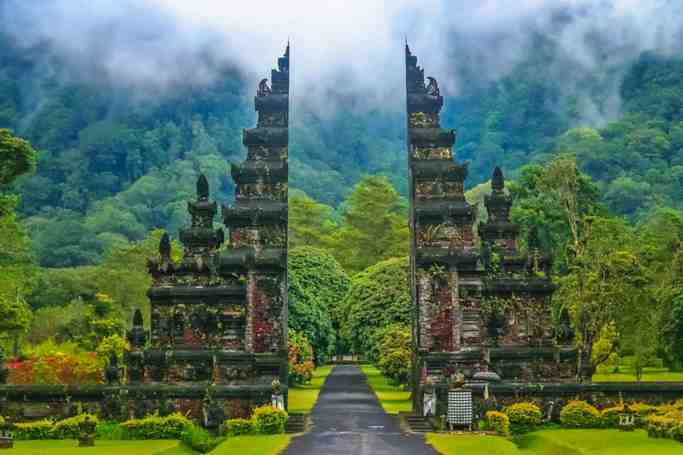 Mileage from the district of Karangasem to this temple about 26 km, and about 55 km from Denpasar. The history of Pura Luhur Silayukti, related with a supreme pandhitaMpu Kuturan of religion named Siwa Buddha. He came to Bali is expected by the end of the 10th century. Based on the discovery of several inscriptions, ancient relics that are still contained in the Bali title also wrote the name of Pandhita Senapati Kuturan. Differences initial term or predicate that states that the Supreme pandhita it a double by profession during his lifetime in Bali. That is as religious clergy, experts philosophy, he was nicknamed by the people with the term “Mpu” and as a state structure experts he obtained his “Senapati” to sign his departure.